The UK is to pull out of an agreement that allows foreign countries to fish in British waters. Ministers will trigger the withdrawal from the London Fisheries Convention, which was signed in 1964 before the UK joined the European Union, starting the two-year process of leaving the agreement. 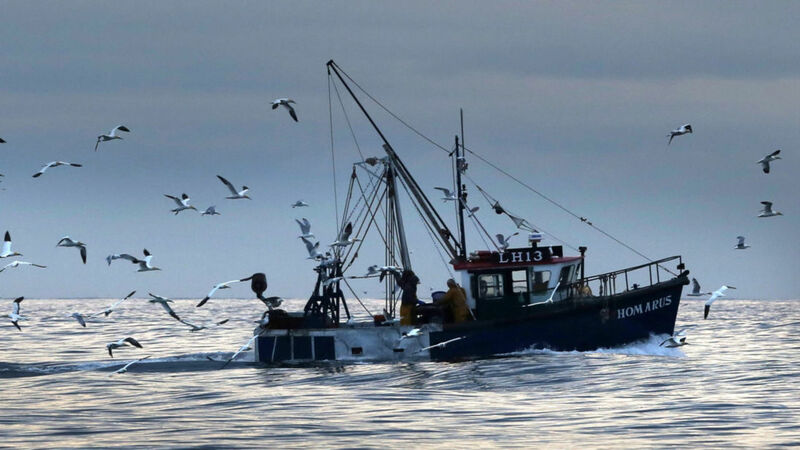 Under the convention, vessels from France, Belgium, Germany, Ireland and the Netherlands can fish within six and 12 nautical miles of the UK's coastline. UK vessels will also lose the right to fish in waters six to 12 nautical miles offshore of other nations. Environment Secretary Michael Gove said: "Leaving the London Fisheries Convention is an important moment as we take back control of our fishing policy. "It means for the first time in more than 50 years we will be able to decide who can access our waters. "This is an historic first step towards building a new domestic fishing policy as we leave the European Union - one which leads to a more competitive, profitable and sustainable industry for the whole of the UK." The UK fishing industry was made up of more than 6,000 vessels in 2015, catching 708,000 tonnes of fish worth £775m. Some 10,000 tonnes of fish were caught by other countries under the convention, worth around £17m. Barrie Deas, chief executive of the National Federation of Fishermen's Organisations, said the decision was "welcome news" and an "important part of establishing the UK as an independent coastal state with sovereignty over its own exclusive economic zone". But Greenpeace UK warned the move alone would not deliver a better future for the UK fishing industry. 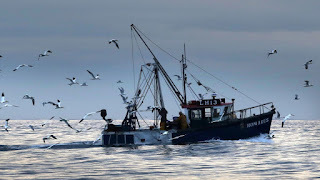 The charity's head of oceans, Will McCallum, said: "For years, successive UK governments have blamed Brussels for their own failure to support the small-scale, sustainable fishers who are the backbone of our fishing fleet. "If Brexit is to herald a better future for our fishers, the new Environment Secretary Michael Gove must keep the 2015 Conservative Party manifesto commitment to re-balance fishing quotas in favour of 'small-scale, specific locally based fishing communities'." And Dr Tom West, a consultant at environmental law firm ClientEarth, said the withdrawal appeared to be an aggressive negotiating tactic. He said: "As a country outside the EU we need to consider how we can best co-operate with our neighbours rather than unilaterally withdrawing from all agreements in the hope that standing alone will make us better. "Many fish stocks in UK waters are shared with our neighbours and so need co-operation and shared management." The convention sits alongside the EU Common Fisheries Policy, which allows all European countries access between 12 and 200 nautical miles of the UK and imposes quotas for how much fish nations can catch.